Microsoft has reported strong Q3 results that beat analyst expectations, with revenues of $26.8 billion, up 16 percent year on year, or 13 percent in constant currency. Productivity and business processes revenues were up 14 percent at $9 billion; Office 365 commercial products and cloud services revenue grew 12 percent overall; Intelligent Cloud revenues hit $7.9 billion, up 15 percent year on year, while Azure revenues saw growth of 93 percent – having logged over over 90 percent growth for ten consecutive quarters. CEO Satya Nadella hailed the results, and suggested that AI, intelligence, edge computing, and the IoT stand at the core of the company’s repositioning in recent years – which has taken place under his leadership. He said that Microsoft 365’s AI-backed tools help ensure compliance and protect data from new cyber threats. “Advanced AI reasons [sic] over hundreds of billions of signals each month to identify anomalies, automate detection, and help customers respond to cyber threats. 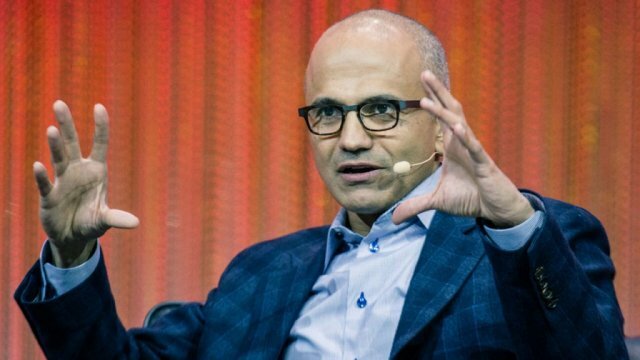 Shifting to business applications, Nadella said, “Dynamics 365 is gaining traction as our third commercial cloud-growth engine, up 65 percent this quarter. We unleashed a wave of AI innovation in Dynamics with hundreds of new capabilities to transform sales and automate marketing, with Office 365 embedded inside Dynamics for productivity. “Recent CIO surveys affirm our leadership position in hybrid, developer productivity, trusted security, and compliance, and new workloads such as IoT and AI at the edge,” he claimed. “Industrial IoT is transforming the rules of manufacturing, fuelling cloud and edge innovation, accelerating the evolution of digital factories, and enhancing supply chain performance. “Azure IoT and Azure Stack enable customers and partners to build industrial IoT solutions that run at the edge, so operators on the factory floor can manage devices and analyse data in real time. And HoloLens is quickly becoming an indispensable tool as we take digital twin technology to the next level. Nadella revealed that Toyota in Europe is using Azure as well as HoloLens to create “a factory of the future”. Internet of Business’ Internet of Supply Chain conference takes place in Berlin on 15-16 May 2018. For more details, please go to the event website. “We continue to innovate to democratise AI,” said Nadella. “More than one million developers have already used Cognitive Services to quickly and easily create AI applications, and we have more services than any other cloud provider. “Our Azure Bot Service has nearly 300,000 developers, up more than 150 percent year-over-year. Microsoft Translator brings AI-powered translation to developers where their data is, whether it’s in the cloud or on the edge. On the surface, it’s hard to fault Microsoft’s results: a stellar performance by any standards. And yet Wall Street reacted coolly to the consensus-busting performance, with shares dropping fractionally in the after market. The important thing to acknowledge is that Microsoft has completed a widespread transformation under Nadella’s subtle and effective leadership. This was essential after the Ballmer years, which – despite the former CEO’s noise and bluster on conference stages – should be seen as an unmitigated disaster. Under Ballmer, Microsoft ceded control of the entire mobile market to Apple and Google, and even today finds itself nowhere in the space – despite some good hardware and applications. Instead, what Microsoft has done is merge into the background, in effect: become part of the fabric of the enterprise computing, cloud, and edge spaces, after years of overwhelming dominance on the desktop. It is still too sales-driven and insistent – as anyone who has faced a wall of Microsoft marketing collateral on their LinkedIn wall will testify – but it has at least recognised what its core role is now: in the enterprise, more than in people’s homes or in millennials’ pockets. Indeed, for many young people – those who aren’t gamers, at least – Microsoft is largely irrelevant. Like IBM, Microsoft has done a good job of refocusing on complementary cognitive services, and like Dell, a good job of thinking on the edge for the IoT. For all these things, and for its analyst-busting financials, it should be congratulated. But at its heart, it is still a mega-successful company facing an existential crisis on the world stage. And Nadella has Ballmer to thank for that. For more on cybersecurity in manufacturing, and much more besides, attend our Internet of Manufacturing event in London on 5-6 June.